Our show piece bar provides a range of local drinks and familiar household names. 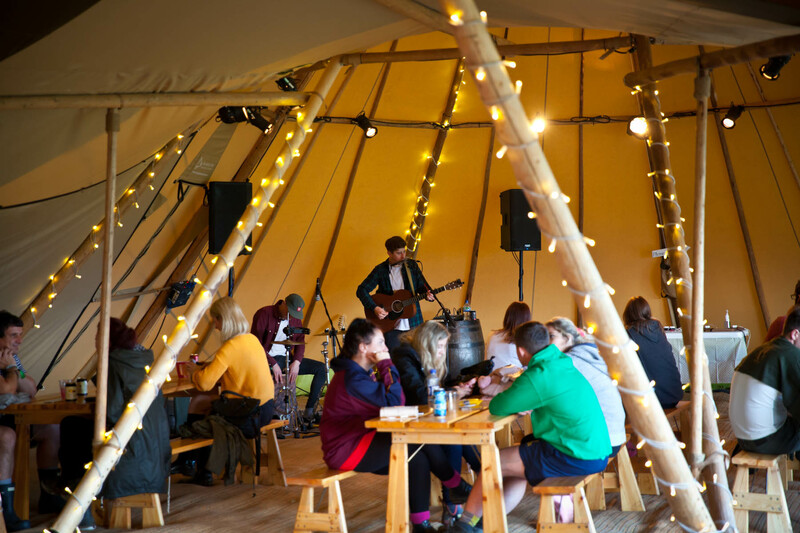 Showcased inside our chill out areas we provide the perfect spot for enjoying an ice cold drink after a hard day in the festival. Acoustic entertainment is provided on both Wednesday and Thursday evenings kicking off your stay in style. The Ziggu Cafe is changing this year, we are delighted to welcome a new team of chefs on board who will be providing some fantastic gourmet breakfast and snack/meal options. So if you are looking for something healthy or hearty before a long day in the festival or just a lighter bite, we’ve got it covered. The majority of our produce is locally sourced but most importantly really tasty all at a reasonable price. Fresh coffee is also available throughout the day and evening, served to our guests by our trained baristas.